We can take care of all of your boating needs! when you place in a qualifying tournament! Join Our Top Finishers Program! 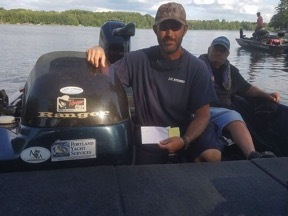 It all started when Joe Curtis, the then-14-year-old avid fisherman son of Jason Curtis, VP of Operations at PYS, was fishing for Bass during his first Maine tournament in 2011. Jason already knew that PYS was known for its World Class Service on any boat, any motor, in any size, and in any season, but no one was really meeting the needs of customers by selling and servicing Bass Boats. PYS services hundreds of Bass Boats in the Service Center at 100 West Commercial Street, complete with over 865 years of World Class Service Experience behind the door. 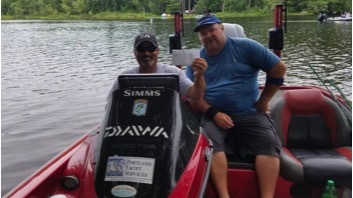 Top anglers around New England rely on PYS. PYS is on the water with them at many tournaments every year. PYS recognizes the importance of time for the tournament angler and we will try our best to get them back on the water prior to their next tournament. PYS never stops until 100% of our customers have said they are satisfied. When the open sign is off, that doesn’t mean we’re closed! Our service technicians participate in an annual recertification on all boat types, including Bass, and all motors. Customers have confidence in PYS! Top anglers rely on PYS. They know PYS is on the water with them at many tournaments every year also for emergency remote service needs. PYS has over 865 years of world class service experience behind the door! Give us a call at 207 774-1067 or complete the Contact Us form and we will get back to you within 24 hours. 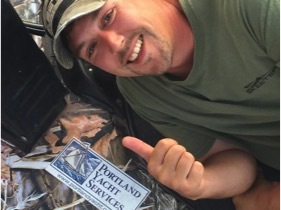 Portland Yacht Services “PYS Top Finisher” program is here for the 2019 Tournament season. Sign up and receive a decal, place that decal on your boat windshield, (Larger PYS decals on the hull sides are eligible on PYS team boats.) 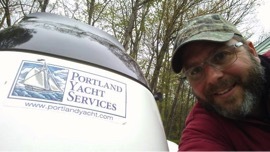 fish a sanctioned tournament and if you win Portland Yacht Services will write you a check for up to $200.00. Click the button below to fill out a form to sign up! Fill in the form below to get a quote. We will get back to you shortly! "By far the best service I have ever received in 15 / 20 years of running Bass Boats has been through you guys. Thank you thank you thank you!" Mark, I just wanted to let you know that yesterday I drove to Portland to have my Terrova repaired. I arrived at 10:45 for an 11:00 appointment with a promised completion in 1-1/2 hours. First, I met Steve Talbot who came out introduced himself and then went out to retrieve the motor. Professional and polite, but most important competent. These are traits I have difficulty finding in people today. We returned in a little over 2 hours after enjoying some time on the harbor and having a great lunch at a local restaurant. The motor was not only done but Steve had it operational and ran it through its paces before loading it on my vehicle. Certainly, an extraordinary step but one I much appreciated. I also had the pleasure of meeting Jason Curtis. Again a sincere and well presented individual. For the size of business these guys have I would not expected the attention I received. They truly made me feel welcome and important. I have no idea if Minn Kota gives out customer service awards. If not, they should and my vote goes to Portland Yacht Services. They have renewed my appreciation in A Job Well Done!! !